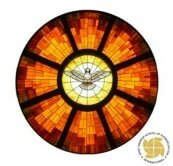 ​To learn how to evangelise using the gifts and power of the Holy Spirit. ​My soul opened up like a flower as it received droplets of spiritual nourishment from our inspired teachers. I learnt that the Gifts of the Holy Spirit empower a person for the benefit of a whole community and not for personal glorification. All I need now is the boldness to step out in faith and be an effective witness of Jesus’ mercy and compassion.